MANILA, April 27 -- Religion is not a factor in the country's ongoing campaign against terror groups and lawless elements in Mindanao. 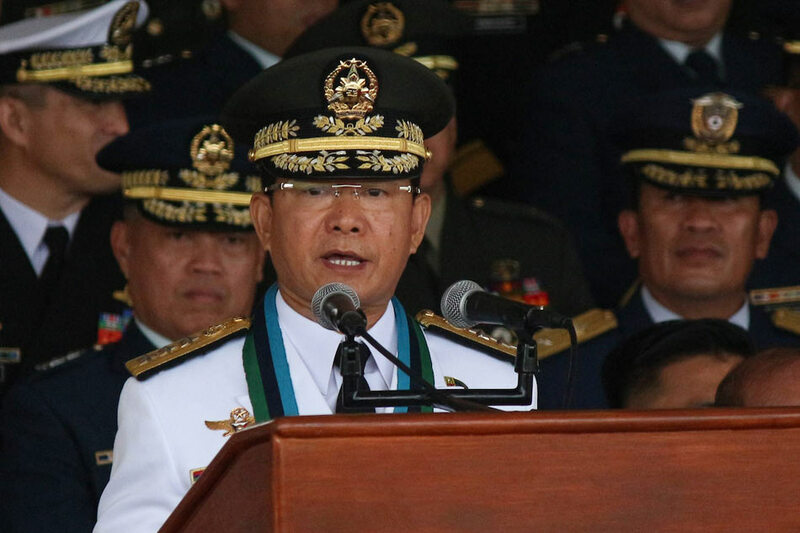 This was stressed by Armed Forces of the Philippines (AFP) chief-of-staff Gen. Eduardo Año when asked on whether they are looking on the involvement of "Balik Islam" adherents on terrorism activities in wake of the botched Abu Sayyaf Group (ASG) landing in Inabanga, Bohol last April 10. "There is nothing wrong with 'Balik Islam" or Muslim converts as we have freedom of religion (in the Philippines) what we are looking at are those (got) associated with the Maute Group (and ASG) as converts coming these groups are those who have became radicalized," he added in Filipino. Año added even in the AFP there are "Balik Islam" adherents and he sees no problem with these individuals. In the above-mentioned incident, Joselito Milloria, a "Balik Islam" convert, allegedly acted as guide and contact of ASG sub-leader Muamar Askali alias "Abu Rami" in Inabanga where the group rested for a while to plan their kidnapping attacks. However, this proved naught as military and police units pounced on the group last April 11, killing Askali and three others along with three soldiers and police officers along with an elderly couple.